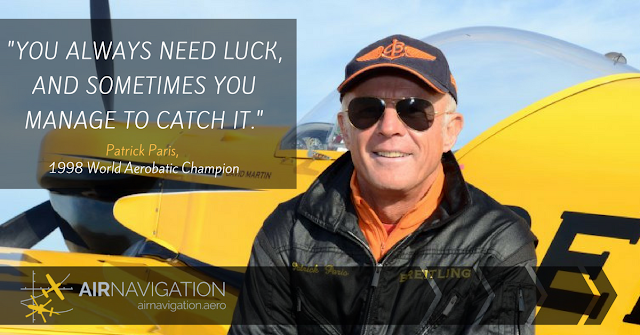 Patrick Paris’ journey towards the World Aerobatic Championship title is an inspirational story of never giving up, and pursuing dreams until they happen. Patrick tasted his first flight when he was 18, right when he joined the air force. Deeply fascinated by planes and aerobatics, his first encounters with the sport came when he would see glimpses of championships on television which during that time was already a big thing. Fast forward a few years later, he became a flight instructor and joined a specialized team in aerobatics called the "Equipe de Voltige”. Below details some of his trials and triumphs on the journey of being an aerobatic pilot. He also shares the secret to bagging the world champion title after 19 tries! Hit play to listen to the interview or read the transcript below. So Patrick, thank you for joining us and accepting our invitation. Maybe we could start by you telling us a story about how you first fell in love with aviation and how you started your journey. P: It’s my pleasure to talk to you. I started flying while I was in the air force. I joined the air force when I was quite young like 16 years old. And then I started to fly—my first plane was a Cap10. It was a two-seater plane specialized in aerobatics. And then I moved on to a fouga magister, which is a twin jet engine. And then I tried a T33. After that, I became a flight instructor, on the fouga for 5 years, and after this, I joined the "Equipe de Voltige" which is a specialized team in aerobatics, with Cap10 and all the series of Cap. What age did you start flying your own plane? P: It was back in ’73 so I was 18 or 19 years old when I started to fly the Cap10 right after the fouga. Did you find an interest in flying when you joined the air force or was that attraction to flying ignited even before then? P: In fact, I was really a fan of aviation. Before I joined the air force, back in the 60’s, 70’s sometimes watching air shows live and on TV (which was quite seldom to see), but when I had the opportunity to see for example the "Patrouille de France" making a show and so on, it was really something exciting for me. And also I had practiced gymnastics when I was young and I think gymnastics and aerobatics are quite similar somehow. So maybe you can tell us your most memorable flying experience as a new pilot. P: Actually, of course, the first solo flying in the fouga was quite impressive for sure even though the formation was quite good, it’s always a bit kind of scary to fly the first solo. This was quite impressive for me. And also, I remember when I was flying the T33, this kind of plane was normally navigating at like 30,000 - 35,000 feet above and during the flight by night sometimes with a very clear sky, I was flying over the city of "Tours", which is the west part of France. And I have the map below me, you know the map of the west part of France below me and this was a very nice picture. Yes, we’re sure. Which views do you most enjoy when flying? Do you have a favourite flying destination? Is it in mountainous areas or is it above oceans? P: I prefer to fly near the oceans because I am more used to it and even though now I am living quite close to the mountains I know that flying in the mountains would require you to know really well all the weather conditions and so on. And it’s kind of tricky if you are not born in the mountains. 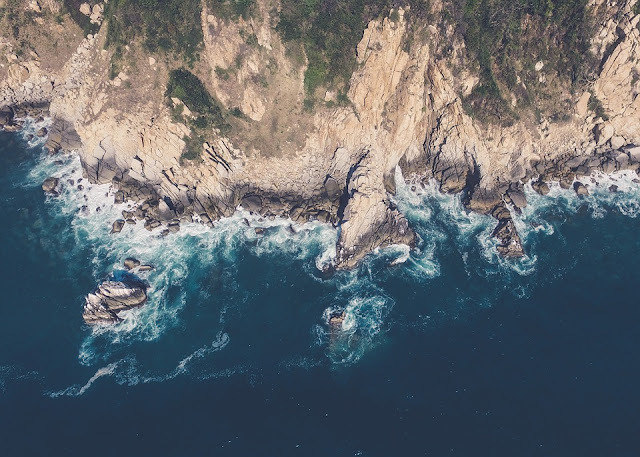 So yes, I prefer to fly near the sea to watch the coast and so on. Among your experiences, what was the most challenging? Do you have a particular memory wherein it was the hardest part of being a pilot? P: Being a pilot was quite okay for me but then when I started to compete in aerobatics, of course, I realized that even though my goal was to become world champion it took me 19 years to get this title. I had plenty of training, it was not the reason why I didn’t succeed but I saw that after a few years in aerobatics, I reached a level where I was at the top 5 in the world championship and I saw in myself that there was something wrong in my thinking and the way I prepared for the flights or how I managed with the stress and so on. So I started to practice mental preparation. And then finally, back in ’98 I became world champion. But it was quite challenging because for at least the last 10 years before this title, every year I got to go again and again to compete with and fight with the young guys who were quite eager to win as well so it was really challenging. Wow, that is really a testimony about working hard to achieve your dream. Like 19 years of never giving up, that’s very inspiring. When you won world champion, what do you think made the difference? Why do you think you won that time? P: I think it was really a question of mental strategy, you know. In the past maybe I was scared to win. It’s hard to explain. I think after a few sessions of mental preparation, I realized that I was not really focusing on winning the contest in my mind. So I managed to switch it and I won! But of course, it also includes a little luck. Depending on when you fly, depending on the drawing of lots, the weather condition and so on, compared to all the competitors. Sometimes you are lucky because you fly with very good conditions. And the other times, you are supposed to fly with strong winds. There is a little part of luck. You need a little luck to win as well. Yes, it’s like a combination of mind over matter plus luck. P: This is the part you cannot deal with. Sometimes you have luck, sometimes you don’t. But there are plenty of topics you can work on like physical training, relaxation, and so on. These you can improve but if you don’t have enough luck on the day of the competition and if you’ve done your best to get ready, maybe you won’t win. That’s life. Did things change after winning the world championship? Like what opportunities or what new ventures were you able to go into after that? P: I was really willing to carry on after the competition but I had medical problems where I had to stop flying for a bit and then I started coaching. Now my main job is to train and coach aerobatic pilots. Some of them are competing, some of them are doing air show displays and so on. So did you start your aerobatics training company after you won the world championship? When did that start? P: Actually, I was already a flight instructor, so I was used to training people with 2-seater aircrafts like Cap10, Extra 200, 300 and so on. But it was just 4 to 6 weeks per year before I won. Then after I won, I started to do it like 20-25 weeks a year. It was mostly my main focus. For most of the audience who don't know what your company is about, would you tell us a little bit about your company and when you started it and what inspired you to start it? P: I was always interested in teaching people about flying but mostly about aerobatics. So I think when I left the air force back in the ‘90s, I had a chance to get Breitling as a sponsor. 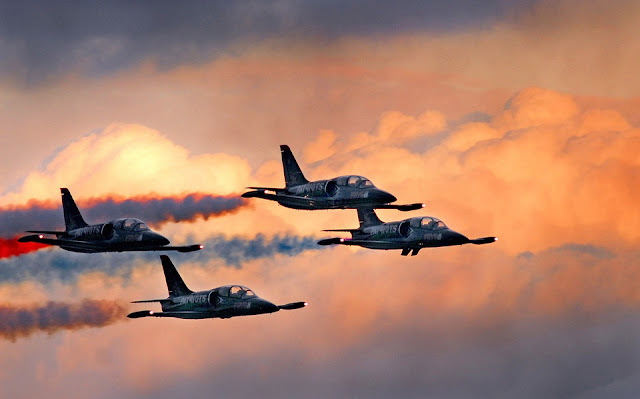 Thanks to them I was able to carry on with the competition then I realised that in the mean time since I was also training people, I realised that books are very good for sure but since aerobatics is a very visual activity, the brain is working a lot because you have to adjust yourself in the space. You have to have some input with the controls, know where to look and so on. So I was thinking, it would be interesting to have something more visual than books. Then that’s why after a long while, I decided to make those applications to demonstrate aerobatics. I was always coaching since 2000 and it took me a long while to take the decision to start this app because I was really trying to build it in my head how can I organise all the program because of course the basics to unlimited—it’s quite complex. And thanks to Johann and Xample they did the application and we put all the videos inside and I’m quite happy with the job we have done together. You’re app is called the Academy of Aerobatics, correct? So it’s a series of video tutorials inside the app, is that right? P: Yes. You have 4 volumes. The first one is mainly concerning safety flying. The second one is the basic of aerobatics. The third one concerns all negative manoeuvres. And the last one is for the freestyle. All the tumbles and so on. Wow, that’s amazing Patrick. If you come to think about it, it’s like you’re taking traditional teaching and integrating it with the future of technology and aviation. It’s practically for anyone who wants to take aerobatics, they can just download the app, they can learn from it without an instructor. Is that right? This is really a very important point. They can prepare their brain to visualise. The screen of the videos is divided by 3 or 4 and you have the manoeuvres seen from the ground, another manoeuvre where you can see what you’re doing with the controls and another part of the screen is focusing where I’m looking at. And the main goal is to really to prepare the brain like a flight simulator. To prepare the brain for all the process… but but but of course, you cannot only download the app and then hop on a plane and experiment. And it’s written in the disclaimer. You need to have some dual flying with CFI in order to get really well oriented with all the safety topics. And of course, as you start some basic manoeuvres you can make mistakes and you can damage the plane and put yourself at risk. That’s why you really need to do it with a flight instructor. And in the meantime, you can study with your flight instructor on the ground, just to discuss. It’s also an educational tool. Wow, that’s good to know. So basically it’s like a training manual before you start aerobatics combined with virtual reality. So if anyone is interested in training or are interested in aerobatics, they just download the app and see how it would feel like before taking or enrolling in an actual class, right? P: Exactly, but of course the reason why you need to fly dual with the CFI is also because when you are sitting on your sofa, watching your iPad and the app, you are not sustaining Gs. Your body is stable, you are not turning. So of course, the CFI will help you to be prepared or get ready to really sustain g's and it will tell you that okay, just before you pull, you are going to tense these muscles and so on. That’s also a reason why you need to do it in actual because in your sofa you imagine maybe but you cannot really feel the pull of gravity of course. That’s very interesting. So right now, where do you think you’ll be taking Academy of Aerobatics forward? What would the future look like? P: The app is actually finished now. The main thing is I have to promote it to find some journalist who can write about it and put advertisement just to spread the information worldwide. Anybody who has a big interest in the app, especially like flight schools or big companies who'd like to advertise using your app, can just reach out. How can they reach out to you? P: You can easily download the app from the app store for example. Otherwise, I have 2 websites which are dedicated to the apps. They can find a lot of information on those two websites. There’s a lot of information in there as well. So whoever is interested can collect the links at the bottom of this post. So now, let’s talk about the future of aerobatics. So as a world champion in aerobatics, what advice can you give aspiring aerobatic pilots? For those people who are still trying to get to the championships, who are interested, who want to be aerobatic pilots… Where should they start and what should they do to get that championship? P: Well, depending on the country where you live, because for example in France, the USA, we are lucky to have flying schools as well as in the UK. In that case, that is easy if you have the time and money to join those flying schools and to start flying first and then to start aerobatics. But of course, there are plenty of countries without aerobatic flying school. It’s more complicated if you have to move from one country to another one to start aerobatics. I know some very motivated people who are doing this. I have some Japanese friends who go to the USA, in California just to learn aerobatics. "When people are motivated, they find solutions." Yes, that’s true. Do you think you’ll be teaching more in the coming years? Or what are your plans in terms of your ventures, and aerobatics training? P: I have some training camps in Europe and quite busy with these. I know there are plenty former and actual world champions who are also training people and coaching people in aerobatics so the overall level is really improving because of these because you have plenty of good coaches. The planes are improving in a matter of performance but also in a matter of reliability, engine, airframes and so on. I think we have a good future for aerobatics. Maybe now, one point that is a challenge is with the noise. I know some countries that are very sensitive to the noise. At the moment, there are few companies (like Extra) that are building aircrafts with an electrical engine. The problem will be the weight of all the batteries and the endurance and so on. So for us (the key is) to really improve before it will be possible for us to use it frequently. P: Laughs* Yes, definitely have those. We’re sure you have a lot, any particular ones? The best memory I have in aerobatics was back in the period between 1993 and 1995 when we were in the Breitling World Cup of Aerobatics. It was a competition where the first flights were unknown. 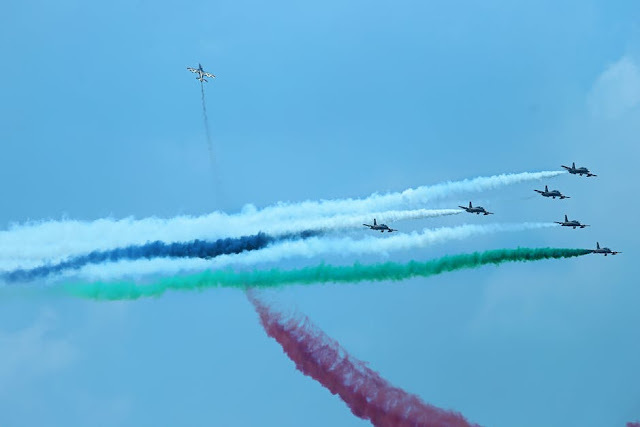 The second flights were to freestyle with music—synchronised with music. And for this, we trained together with Dominique Roland Xavier Delaparent, Eric Vazeille. At least the French pilots, we trained together and we had a lot of fun to find the right piece of music to adapt it to aerobatics. Also to adapt aerobatics to music so we spend a lot of good time working on this together. Wow! We’re sure that was really exciting! Do you still remember the music that you played for that particular competition? P: For me it was The Spring Valz, La Valse du Printemps. Some pilots experimented with music with very fast rhythm and of course it was very hard to follow the music together with the plane. So we found that the Austrian Valz are the easiest piece of music to follow with an aerobatic aircraft. But it was very challenging, very demanding but also very nice to prepare and watch as well. Because we were really following the music inside the headset and the people on the ground were also listening to the music on the loud speakers where they manage to really feel the artistic side to the flying, let’s say. We're sure that was really fun! So that ends our session for today. Patrick, thank you for gracing us with your presence. We'll make sure to make this interview really rock. P: I hope that a lot of young pilots will be inspired by aerobatics in the future. Thank you for checking out this first episode of After Flight! We hope you enjoyed it. Below are links that were mentioned in the podcast. 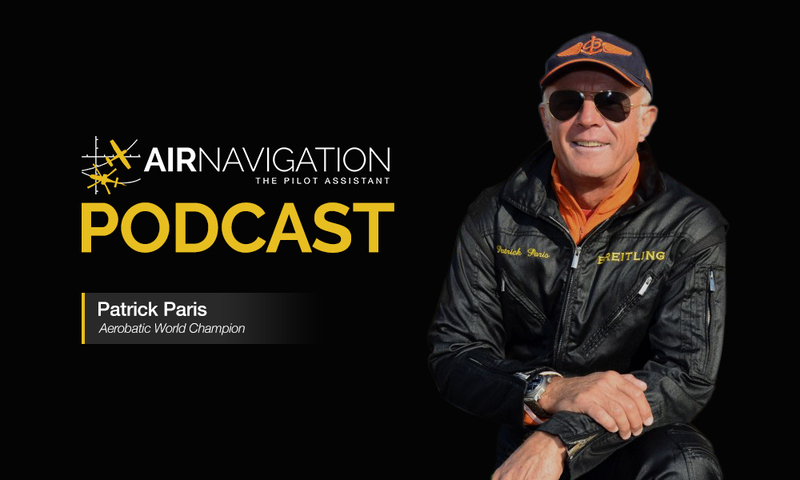 If you’re inspired by this interview with Aerobatics world champion Patrick Paris or you’ve always been interested in becoming an aerobatic pilot, check out his amazing app to jumpstart your career as an aerobatics pilot. Tag us with photos with the hashtag #airnavpro to get featured! After Flight is brought to you by Air Navigation Pro, the premier flight app for pilots that allows real-time air navigation with maps and charts from almost the entire world. Available with iOS, Windows, Android, & Mac OSX.